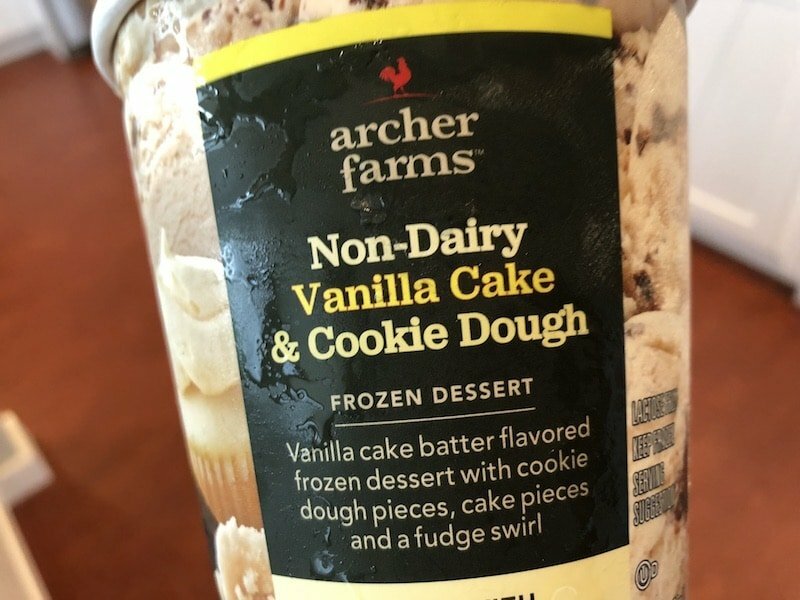 Target’s brand Archer Farms has several non-dairy ice creams available, and we sampled the irresistibly named Vanilla Cake & Cookie Dough. 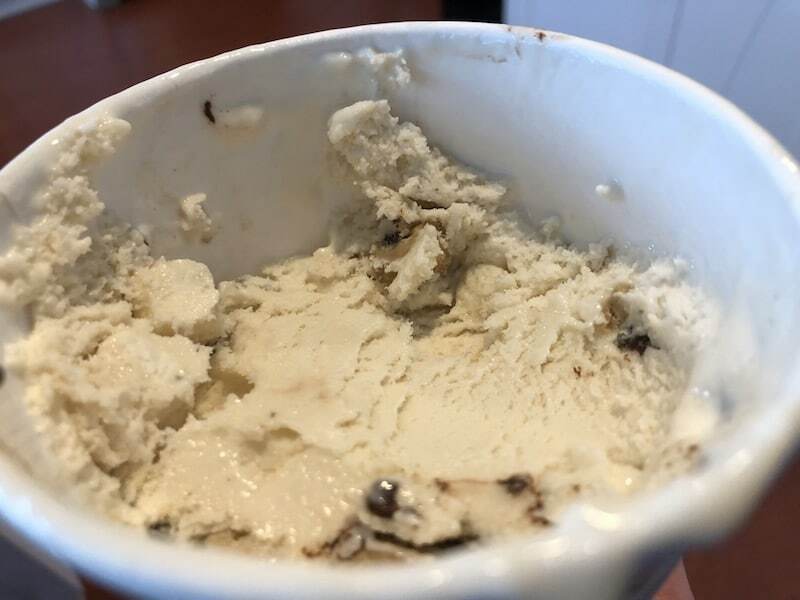 And this vegan ice cream is irresistible indeed, with unbelievable sweetness (it’s that vanilla cake), and marble-sized balls of cookie dough, and crispy swirls of fudge in just about every bite. 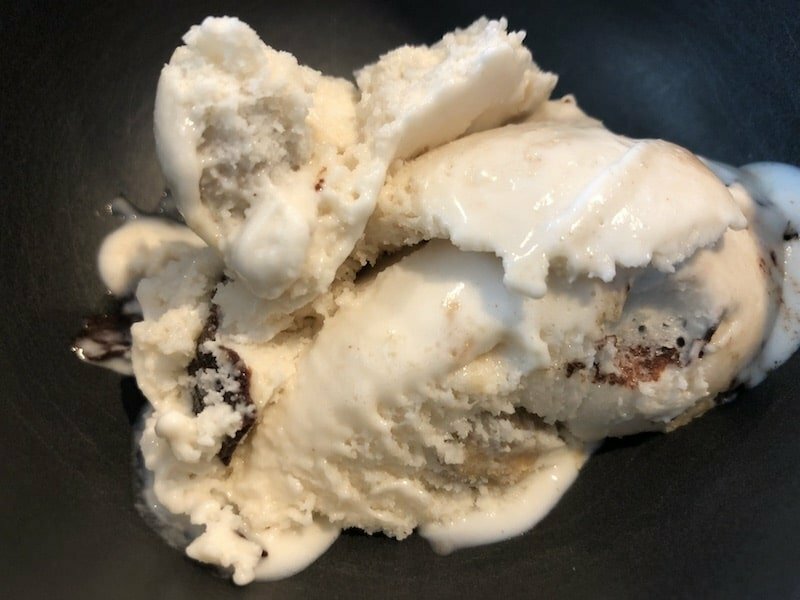 This ice cream has an almond-milk base and is creamy but not super-rich; it feels a bit light, somehow, without sacrificing the creaminess. For those who love vanilla, this ice cream is perfect, and it will satisfy even the sweetest of teeth in its sugary goodness. 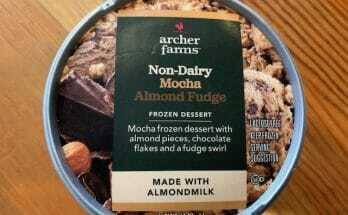 Archer Farms has several more non-dairy flavors (including strawberry & fudge, cashew caramel, mocha almond fudge, and peanut butter & chocolate), all of which look as delicious as this one is. Stay tuned!